Ciao, amici! I’m really happy to bring this announcement to you today. Friend and fellow writer Marcia Meara is releasing her novella, The Emissary 2: To Love Somebody. You might know her from her tireless work online promoting other authors. Maybe you remember her from the cover reveal I (and many others) did for her not long ago. 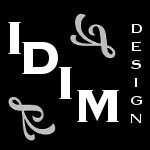 In any event, whether she’s new to you or a familiar face, let me encourage you to visit her site. But first, help me welcome her here to discuss her latest release. I’m so excited to be here on your blog today, Staci, sharing a bit about my latest release, The Emissary 2: To Love Somebody. Thank you for inviting me, and for all your help in making sure this series of novellas is the best it can be. I know it was certainly fun to write characters as widely dissimilar as Jake Daughtry, his protege Dodger, and their “boss,” the archangel Azrael. When I get the third novella of this trilogy finished, I’ll be combining all three into a set I can offer in print as well as eBook format. But for now, folks looking for a bit of Urban Fantasy Lite can download Books 1 and 2 and find out for themselves exactly what’s expected from the world’s first Emissaries to the Angels. I hope the blurb and short excerpt below will tempt some of your followers to do just that. Both Book 1 and Book 2 of the trilogy are quick, easy reads, which are definitely not meant to be viewed as any sort of religious dogma. Rather, they are merely excursions into a bit of “what-if-ery,” with a few nuggets of universal truths scattered throughout. Note: I do need to point out that The Emissary 2: To Love Somebody is the middle book of the Emissary Trilogy, and not a stand-alone novella. With that in mind, Book 1, The Emissary, can be downloaded HERE. They’re looking for mortals about to take a wrong turn. You know the ones—the kid thinking about stealing from a corner market or the man planning to lie about a co-worker and destroy her career. Yeah, them. People on the brink of making a mistake that could send them down that wrong road and jeopardize their mortal souls. “You know what, old man?” Dodger asked, a trouble-making gleam in his eyes. There was no verbal reply, but the tiny cloud dissipated into mist and, for a moment, the sun shone just a bit brighter. A last tiny whisper of distant thunder reached their ears before fading away, and Jake thought it sounded suspiciously like the chuckling of an amused archangel. Marcia Meara lives in central Florida, just north of Orlando, with her husband of over thirty years, four big cats, and two small dachshunds. When not writing or blogging, she spends her time gardening and enjoying the surprising amount of wildlife that manages to make a home in her suburban yard. At the age of five, Marcia declared she wanted to be an author and is ecstatic that at age 69, she finally began pursuing that dream. Her belief in the redemptive power of love is a unifying factor in both of her popular series and her poetry. Today, she’s still going strong, and plans to keep on writing until she falls face down on the keyboard, which she figures would be a pretty good way to go! Great excerpt! Congrats on your new release, Marcia. I look forward to reading the series. That cover seems to be perfect based on the blurb, Marcia – best wishes with the new release! Thanks for stopping by, Teri. I know your month is crazy. I love the truck and wings. Marcia’s cover designer nailed the look for the series. What a happy Tuesday to find Marcia along with her “boys” (can I call Azrael that, LOL) on your blog, Staci! Marcia, I will be starting Emissary 2 tonight (you know how much I LOVED the first Emissary novella). I had hoped to start reading last night but we switched internet/cable providers and, of course, nothing went smoothly with the install. So glad THAT night is behind me now. Internet/cable providers. Sigh. It’s always something. My parents and my aunt (same town, different houses) have been with out Internet access for over a week and no one can figure out why. What a nightmare. Hope it all worked out for you, Mae. Thanks for visiting. I couldn’t imagine being without internet that long. My issues were resolved. I sure hope theirs are as well! Today, I’m very excited to be visiting with my good friend, Staci Troilo, with another excerpt from The Emissary 2: To Love Somebody. 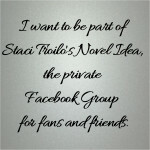 Staci is another writer who is generous with her encouragement and support of authors everywhere, and I hope you’ll take a few minutes to check out the post and pass it along to the Immediate World. Staci, thanks for having me, and kudos on your blog’s new look. Love it! Thank you once again for having me here today, Staci! I really appreciate your generosity and time in helping me get the word out about The Emissary 2. As soon as I finish the next Wake-Robin Ridge book, I’ll be back with Jake, Dodger, and Azrael, working on #3, to wrap up the trilogy. They’re so much fun to write, I’m already looking forward to that. So glad to have you here, Marcia. Best wishes on this release. And you know me… I’m already looking forward to the next one! Well, we wouldn’t want that! Thanks, Staci, for sharing, as always. I’m always happy to host authors here, Natalie. And Marcia’s newest release is delightful; I’m glad to see it making the rounds and being received favorably. Congratulations on the new release, Marcia! It sounds like a great read. Thanks for haring this, Staci. Glad to be able to showcase Marcia’s work on my tiny corner of the Internet. Thanks, Mark. Marcia, I agree, friends like that are real gems, who know what you need intuitively, often even before you do! 😀 Well done again to you both. Marcia is a true inspiration. She’s got quite the creative streak. (Have you seen her drawings?) Wishing her all the best. Thanks, Annika. Congrats on your new release Marica! I definitely remember your cover release. It’s on my radar to read. These novellas are wonderful, Denise. The interplay between the characters is so enjoyable. I hope you get a chance to read them. Thanks for stopping by!